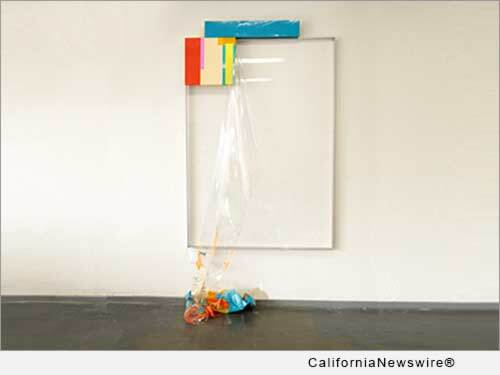 LOS ANGELES, Calif. /California Newswire/ — We've all heard the phrase, "Art imitates life." And it could not ring truer than in how a new contemporary art movement, Excessivism, founded by American artist, Kaloust Guedel, that showcases the excessiveness present in people's lives, correlates to Donald Trump's bid for the GOP presidential nomination. "The art is not always about 'the deal,' but it's about relevancy in real life," Guedel says. The Excessivism Movement first debuted in Los Angeles at LA Artcore at an exhibition titled, "Excessivist Initiative," with 21 artists, many of them internationally recognized. With economic and political excessivism at the very core of this new art movement, it naturally relates to Trump's political path. From the early days, Trump's career was marked by excessivist tendencies and hyperbole. And it continues. While Americans have gotten somewhat used to being misled during political campaigns, Trump takes it to the next level. From sweeping cultural generalities about Mexicans to personal financial misrepresentations, Trump is the poster child for excessivism and exaggeration. In fact, according to the October issue of Forbes' magazine, this presidential GOP front-runner isn't as rich as he thinks. He initially pegged his net worth at around $9 billion, but according to its ranking of the wealthiest people in the U.S., Forbes lists his riches at $4.5 billion. That's a 100 percent markup. Excessive and exaggerated? Yes. This discrepancy is noteworthy because Trump says, "We need a leader who wrote 'The Art of the Deal.'" Guedel questions this statement at its heart and ties it into this new art movement. Shanna Nys Dambrout, art historian, critic and curator says that, "Excessivism is a movement which in itself is contemporaneously developing and annexing. It has a founder, several early adopters and a manifesto." The Excessivism Movement quite simply reflects the capitalist system where excess is constantly encouraged for the sole purpose to deliver profit, without consideration of all other aspects, including human and environmental. "Now, America must ask itself if it wants a president who puts his name on every shining object with excessivism as the big pay-off. It remains to be seen," Guedel says. American artist Kaloust Guedel was born in 1956. He describes himself as a "self-educated artist." Since 1975, he has lived and worked in Los Angeles. His work explores contemporary issues and often takes a critical stand on various shortcomings present in today's society. Throughout the years, he has explored subjects such as genocide, war and abuse. Despite varying styles and techniques, his work has been consistent with contemporary sensibility and has reflected the consciousness of its time. For more information about the Excessivism Movement, visit: http://www.excessivism.com/. Photo Caption: Kaloust Guedel, "Painting #2," 95-inches x 48-inches x 15-inches, Plexiglas, vinyl, acrylic and aluminum, 2015.